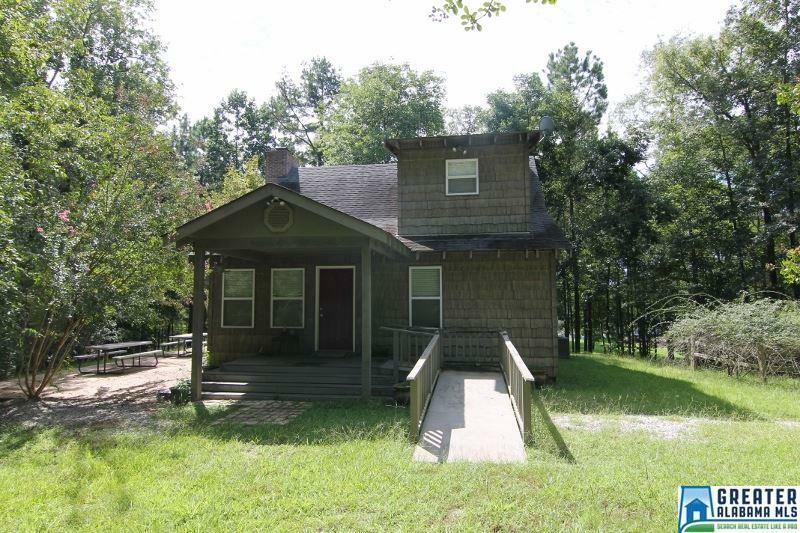 2 Bed / 2 Bath Home on the Tallapoosa River, Wadley, AL The perfect spot to be secluded and get away from it all. This 2 Bed / 2 Bath home is a must see. It sits on a large 3Â± acre lot and 300&apos; of water frontage on the Tallapoosa River. Step off the covered back porch and there is a large concrete patio that is perfect for entertaining friends and family. Step inside and you will find an open floor plan with the kitchen, eating area, and family room all connected. The master on the main. Upstairs you will find a bedroom in the loft with a full bath. Driving Directions: From Stephen&apos;s Gas Station In Wadley Head West On Hwy 22 For 0.7 Miles And Turn Left On Co Rd 62, Go 4.7 Miles And Turn Left Onto Private Dirt Road. The Home Will Be At The End Of The Dirt Road. Copyright 2019 Birmingham Area Multiple Listing Service. All rights reserved. The data relating to real estate for sale on this web site is provided by the Birmingham Area Multiple Listing Service. Information provided is for consumer\'s personal, non-commercial use and may not be used for any purpose other than to identify prospective properties consumers may be interested in purchasing. This site will be monitored for \'scraping\' and any use of search facilities of data on the site other than by a consumer looking to purchase real estate, is prohibited. Listing broker has attempted to offer accurate data, but buyers are advised to confirm all items. Information last updated on 2019-04-18.